If you want to brighten your smile with cosmetic dentistry, we invite you to visit Vitangeli Dental in Englewood OH for an exam and consultation. We believe the initial consultation is the most crucial component of a smile makeover. Your expectations of how you want your smile to look and feel after the makeover. By listening carefully, communicating clearly, and asking the right questions, we can fully assess all of the variables unique to your needs. Effective cosmetic dentistry consultations ensure complete patient satisfaction. 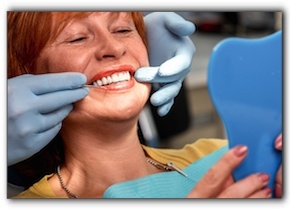 At Vitangeli Dental in Englewood OH, services include general dentistry. Schedule an appointment with us today.